First introduced in 1999, the Pentacam® is commercially available since 2003. 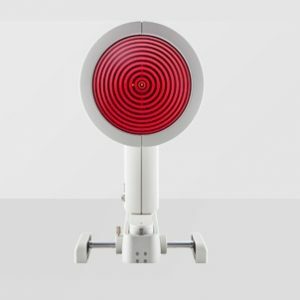 It is the first automatically rotating Scheimpflug camera. During the rotating scan that takes max. 2 seconds, up to 50 Scheimpflug images of the anterior eye segment are captured. The examination is released automatically and is user independent. 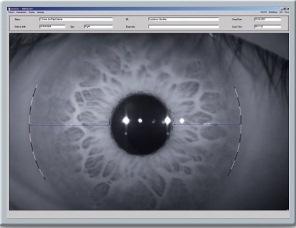 During the scanning process the patient’s eye motions are captured using a second camera and compensated mathematically. Ray tracing is used to compensate for optical distortions. This combination is the basis for calculating solid data for further evaluation. More than 100 published studies and papers prove the efficiency of this concept. The Pentacam® measures the cornea from limbus to limbus. 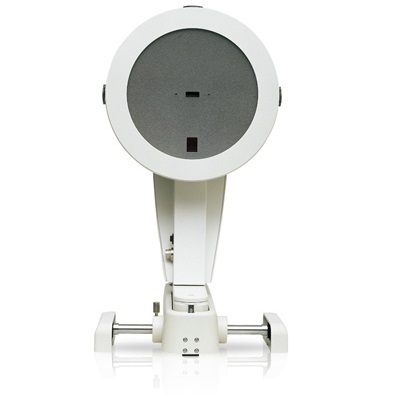 It supplies topographic data on elevation and curvature of the entire anterior and posterior corneal surface. The corneal thickness (pachymetry) is measured and presented graphically over its entire surface. 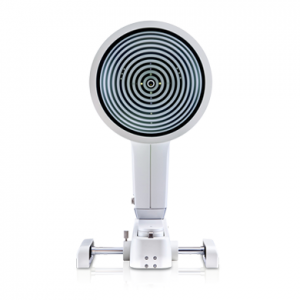 A topography based keratoconus detection and quantification are performed. The anterior chamber depth, chamber volume (size) and the chamber angles are calculated and presented for the Glaucoma screening. 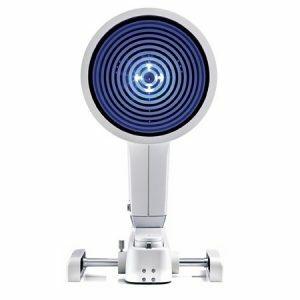 The illumination of the eye using blue LED light makes corneal and lens opacities (cataract) visible. 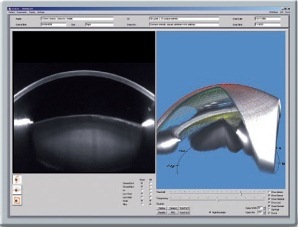 For patients information the anterior chamber can be visualized and displayed with the virtual tomography model. After the examination, Pentacam® provides an indice report that summarizes the abnormalities found during the scan. This report is based on clinical published studies and articles that define abnormalities. The Pentacam® can be customized with two software packages and several software modules to fit your exact needs. Sagittal (axial), tangential (local)curvature maps, refractive power maps of the anterior and posterior corneal surface. Elevation maps of the anterior and posterior corneal surface. Four color coded maps display for refractive assessment. 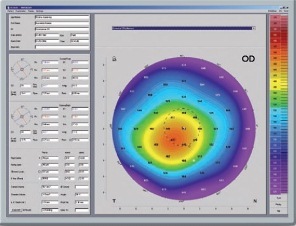 Topometric display for detailed corneal shape assessment including True Net Power Topography based keratoconus detection and classification. 5. Comparison and differential displays. An overview representation in color shows the corneal thickness from limbus to limbus. The measured values can be displayed in a pre-determined grid or represented manually at any point via mouse click. Automatic representation of: 1. Corneal thickness in the centre of the pupil. 2. Corneal thickness in the apex. 3. The thinnest point of the cornea. Changes which become visible in the Scheimpflug image are represented amazingly well in a 3D model. The rotatable and moveable 3D model of the anterior eye segment proves to be an enormous help in patient’s education. The patient can see his eye from all sides. Irregularities can be explained easily in this way. The Pentacam® as well as the Pentacam® HR are now equipped with an improved iris camera optic. The corneal diameter (HWTW) is calculated automatically from the iris photo and can be used for the selection and calculation of IOLs and pIOLs as well as for contact lenses. 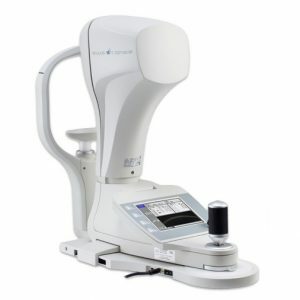 The Belin/Ambrosio Enhanced Ectasia display is the first screening tool which combines elevation data of the anterior and posterior corneal surface with corneal thickness progression analysis. It was developed in collaboration with Prof. Michael W. Belin, M.D. and Renato Ambrosio Jr., M.D.. Originally designed for myopic eyes it is now available for hyperopic eyes too. 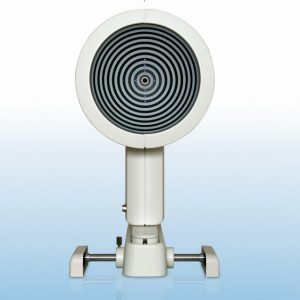 In addition to its overall more precise keratoconus detection this screening facilitates early detection in particular. 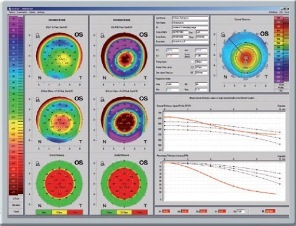 The corneal thickness progression analysis is calculated using concentric rings, starting at the thinnest point and extending to the periphery. The evaluation of deviations from the standard elevation map and the enhanced elevation map is made easier by displaying the results in green, yellow and red. Several single indices are individually calculated. They are then combined into one global index and displayed color coded. 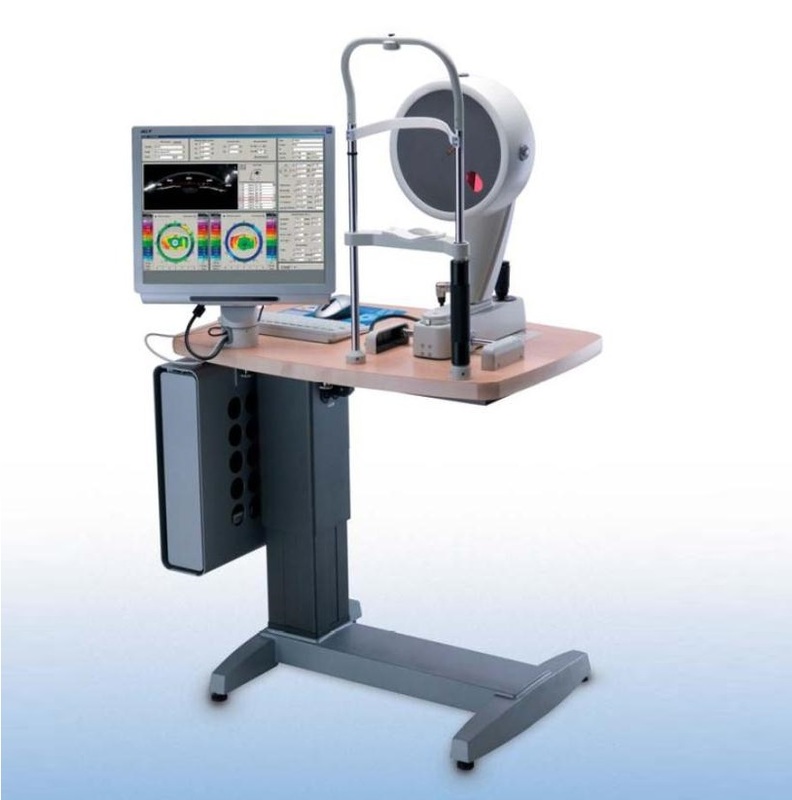 Software Package Refractive – Software package designed for the Refractive surgeon with the displays and maps listed in the table chart on the previous page. Software Package Cataract – Software package designed for the Cataract surgeon with the displays and maps listed in the table chart on the previous page. Module Contact lens fitting – Large, unlimited pre-programmed CL database with manual editing function, fluo image simulation, mathematic best fit suggestion. 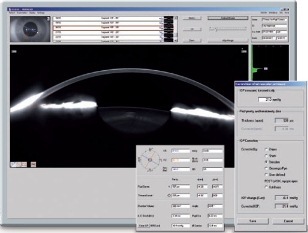 Module PNS (Pentacam® Nucleus Staging) and 3D lens density analysis – The density of the crystalline lens is quantified in 3D depending on the selected area. A grading factor called PNS is calculated automatically, independent of any user settings. 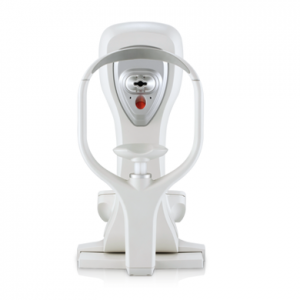 Module Belin/Ambrosio Enhanced Ectasia – This module is based on elevation maps and corneal thickness progression to detect ectasia, designed for virgin eyes. 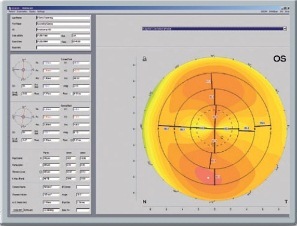 Module Holladay Report – This module displays the Equivalent Keratometer Readings that are calculated considering the anterior and posterior curvature of the cornea. The distribution of the EKR’s in different zones is displayed.